Ella Frank and Brooke Blaine together are deadly, deadly for your heart and your ovaries. They certainly go for the jugular in Locked and delivered a swoony read from start to finish. Despite the highs and lows in this book I had a permanent grin, I giggled, I swooned, I laughed but most of all I loved and loved hard. Locked continues on from Aced with the whistle well and truly blown on Ace and Dylan’s relationship. Ace is naturally worried about the implications and repercussions this will have on his relationship with Dylan insofar as will Dylan will be able to cope with the notoriety, the paparazzi and untruths that the media will now frenzy upon. Dylan though steps up to the plate in more ways than one as it seems that Ace has more to worry about than him. Dylan takes everything in his stride despite the pressure he now finds himself under, the love he has for Ace is the one anchor he needs to keep himself tethered to reality. Having been outed as the other half to Ace Locke, Dylan’s career is propelled into the stratosphere yet Dylan cannot help but feel that these opportunities are only coming because of Ace and if that’s the case, he doesn’t want them. Ace’s career is on the opposite path, it seems Hollywood cannot palate a gay action hero and his contracts are tumbling away day by day. Ace knew it would be bad but he just didn’t realise how bad it could get. Like Dylan though, all Ace needs is his better half and it is these situations they find themselves in that really lead to some extremely tender moments and really reiterates just how much in love these two really are. Between an intense love, homophobic movie makers, a trip to the beach, paparazzi and a piece of dirt that comes back to haunt them, this book has everything and more. So many highs and lows, fantastic dialogue and a story that will have you frantically turning pages just so that you can eat up every word as quickly as possible. A relationship that is so damn swoon worthy that you cannot help but will these two along to the happily ever after they so richly deserve. There are so many scenes I could pin point but I don’t want to spoil anything but what I will say is that the ending was absolute PERFECTION. It has been a long time since I have cried happy tears, but such is my intense character connection to these two men that those tear ducts never stood a chance. 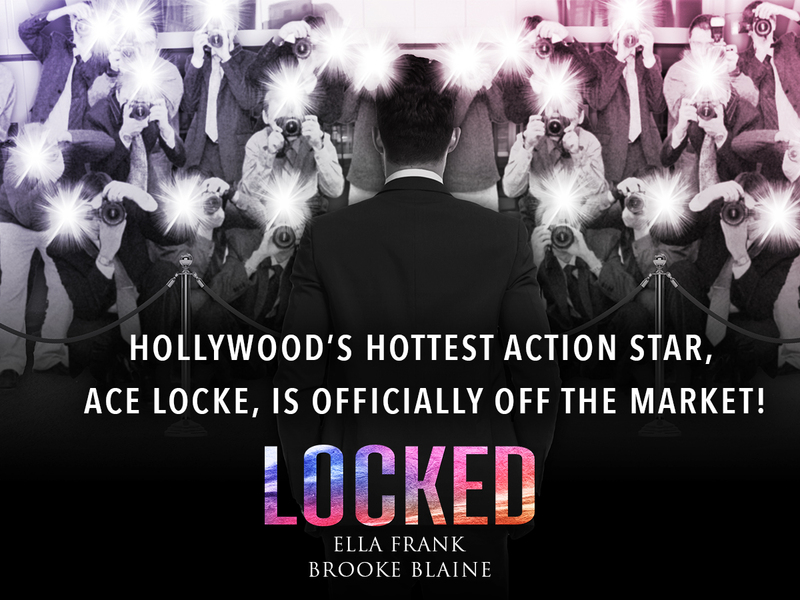 So the question on everyone’s tongues…is this the end of #PresLocke? NO!!! We get more!! And judging by that ending I am literally on the edge of my seat shouting gimme, gimme, gimme. This was not a cliff hanger ending by any means, some may say cheesy, but I say very Hollywood, but an ending that will just leave you wanting more. Just more of everything #PresLocke.